“I boarded the bus on the first day of school with a weird sense of anticipation. Even after nine years as the class dork, I couldn’t quite squelch a fizzy little hope that this year would be different.” Thus begins Marsha’s sophomore year in high school, a year in which her life would change in ways that she never could have imagined. Marsha is a kind-hearted astronomy geek who has two good friends but otherwise, she is shunned. She suffers from bad acne, wears thick glasses, and is very bright. This combination of characteristics would doom her chances for popularity in nearly any high school. The opening of this novel had me hooked immediately, and I was expecting a heart-warming coming of age story. I was not disappointed, but I also got so much more. The school’s new quarterback, also a sophomore, is immediately attracted to Marsha, to the disgust and dismay of the cheerleaders. But again this isn’t a love story, although Rigel and Marsha are attracted to each other. This story has a great deal more depth and a real mystery to be solved. Rigel and Marsha need to work together against formidable odds to save not only the small town of Jewel, Indiana, but possibly the entire earth. This is a fast-paced exciting story, but it is also one with a great deal of heart and the characters are very real. I felt as if I were walking into any small high school filled with teen angst, but what separates this novel from others are the deep secrets within Marsha’s past. She comes across knowledge that would cause most people, even those a good deal older, to panic, and she does have her fear-driven moments, but she also is able to handle difficult situations with amazing courage. 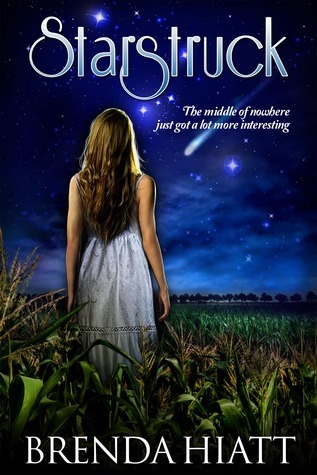 Readers who enjoy suspenseful fantasy and coming-of-age stories are sure to enjoy Starstruck. The author indicates that this is the first in a new series, and I, for one, hope that there are many more novels to come.